One of Britain’s largest car insurance firms has been blocked from using Facebook profiles and posts to set its pricing policy for car insurance. 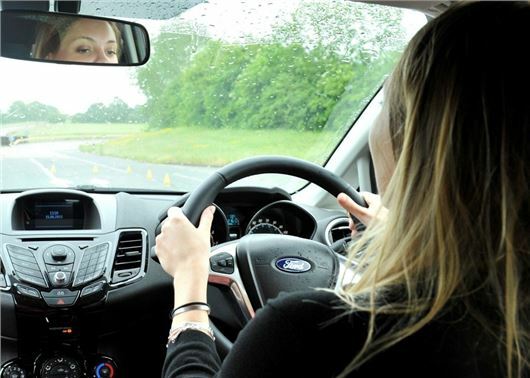 Admiral hoped to use data from the social media site to launch Firstcarquote, a new insurance service for young drivers who are looking to buy or drive their first car. The move would have given the car insurance giant unprecedented access to its customers’ social media accounts. On the day that the service was due to launched, however, Facebook blocked Admiral from viewing its users’ social media activity. A Facebook spokesperson reportedly said it has “clear guidelines that prevent information from being obtained from its service." Firstcarquote would have been aimed at drivers aged between 17-24, with its algorithm based on a snapshot of its customers' social media accounts. Those considered low-risk would have been rewarded with low-cost car insurance. The calculation would factor in Facebook posts, likes and social activity to consider how safe a driver the account holder would be. Admiral also planned to give £50 shopping vouchers to customers who could persuade a friend to sign up for the service. An Admiral spokesperson told HonestJohn.co.uk: "Admiral does not have access to customers’ Facebook data and does not hold social media data to set prices for its customers. "Following discussions with Facebook Firstcarquote is launching with reduced functionality, allowing first time drivers to login using Facebook and share some information to secure a faster, simpler and discounted quote." Never heard anything good about Admiral Insurance!! If you ever go on a Speed Awareness Course don't tell these idiots!.